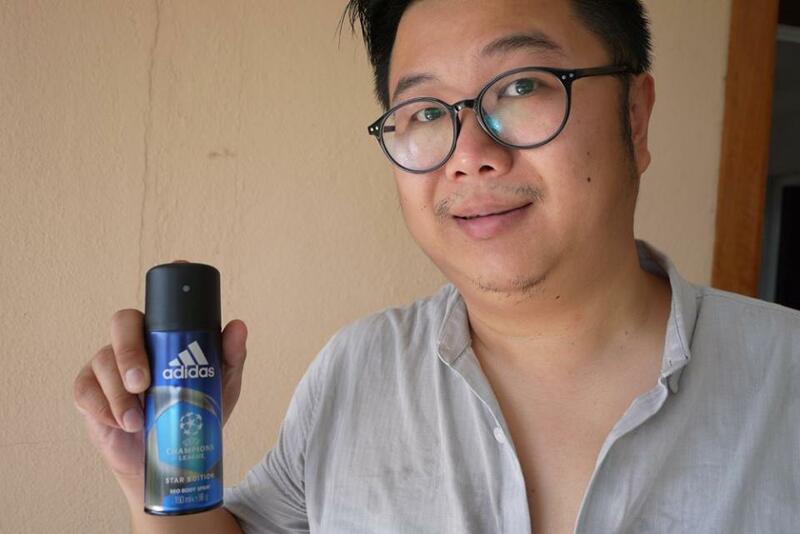 As the other half of me, Johnson has been taught to take good grooming with men’s skincare and body care. 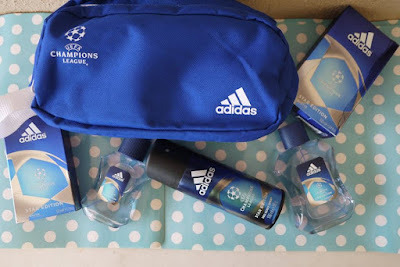 So, when Seeties opened the invitation to review the adidas UEFA Champions League Star Edition Body Care Range, I quickly signed up so that Johnson could try out the products first hand. Thanks to Seeties and Coty Inc., I received the handy parcel at my doorstep last week. 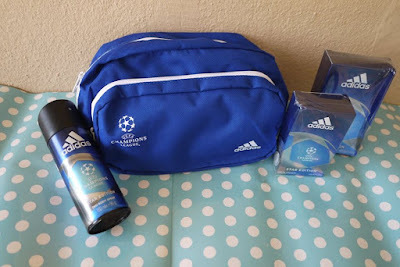 It was the adidas UEFA Champions League Star Edition Body Care Range packed in the blue adidas UEFA toiletry bag. 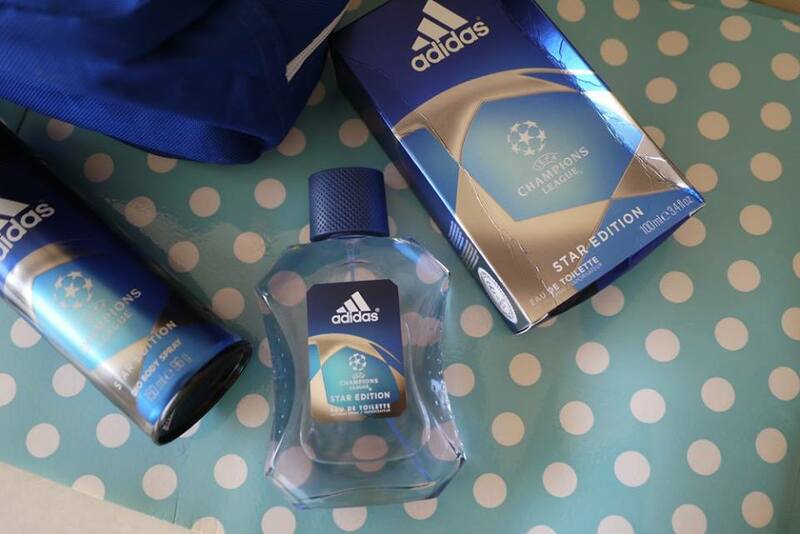 Dedicated to the UEFA Champions League 2015/16 season, the new adidas UEFA Champions League Star Edition Body Care range of official licensed products was inspired by the Competition’s spirit of excellence, the new line-up of fragrance and body care products lets fans celebrate their passion for the beautiful game every day. In case you do not know, UEFA is Europe’s most prestigious premier club football tournament. It is one of the World's most-watched annual sporting event with hundreds of million supporters watched the action and shared their views on social media and a cumulative TV audience of 4 billion from September to May. The final will go live on 28th May 2016 in Milan's Stadio Giuseppe Meazza. 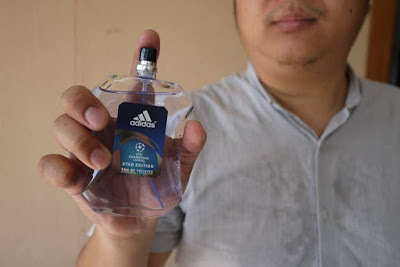 adidas men UEFA 2 Eau de Toilette kicks off with an invigorating burst of zesty Bergamot and Mandarin enhanced by an energetic attack of crispy green Tomato Leaves and fresh Cardamom Seed. The midfield plays around a pure Lavandin France note, spiced up by Black Pepper Madagascar with a hint of rose to signal modern masculinity. At the back, intense woody notes of Cedarwood Virginia, Patchouli Indonesia and Karanal uplift the fragrance power in a long-lasting scent worthy of winners. While the first collection put a spotlight on the gleaming UEFA Champions League trophy, the new body care range focuses on incredible star quality. The Competition is a true celebration of exceptional sporting prowess, as symbolised by its legendary starball logo. Only the most elite European clubs qualify to take part and all eyes are on their star players, who each want to engrave their name in the football hall of fame. In keeping with the star theme, the range’s eye-catching packaging is built around the distinctive ‘starball’ design of the adidas finale football used in all the Competition’s matches. To further highlight the partnership, the body care collection shares its rich blue and sleek silver colour code with the competition’s brand colours. The result? A sporty, masculine look that’s instantly recognizable by football fans the world over. Verdict: Johnson loves the adidas UEFA Champions League Star Edition Body Care Range a lot. Not only that the products are packed in very cool blue, white and silver packaging, they are very pleasant to use too. 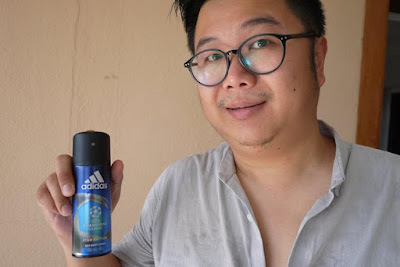 The EDT has a very light and refreshing notes, while he also falls in love with the cooling effect of the body spray that keeps him cool for the whole day. The products could be keep for 36 months after open. 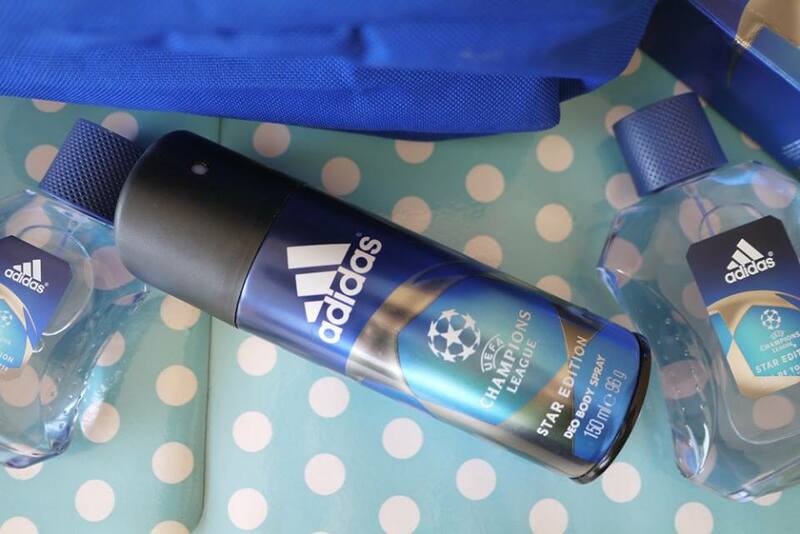 The UEFA Champions League official licensed products is already available at Watsons, Mydin and other retailers and departmental stores. 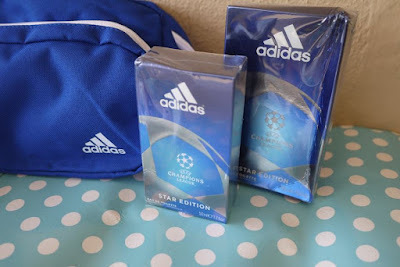 It's time to get a set for your boyfriend or your dad this UEFA Champions League season.